From the 1980 J.C. Penney Christmas Catalog. 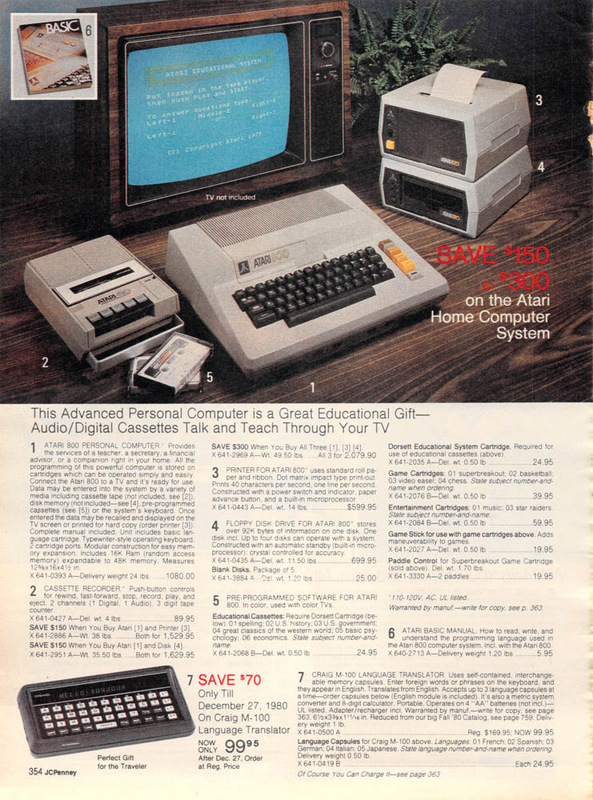 Featured here is the Atari 800. With a whole whopping 16k of RAM. Holy mackerel, it’s monstrously huge! Looks like it was built into an IBM Selectric chassis. Reposted from June 2011. 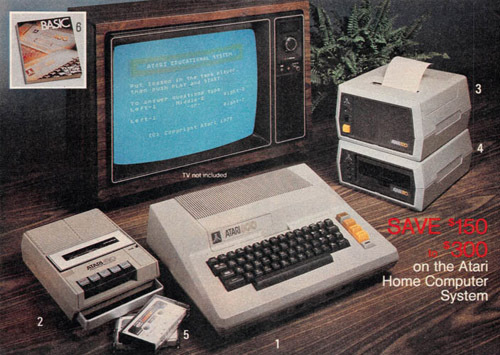 This is a brand new selection of vintage personal computers in the 1980s from Department Store catalogs. As usual, I dug through the magnificent selection at Wishbookweb.com. Go there. Wait, finish looking at this post. THEN, go there. As per usual, click the image to view the entire catalog page and a lot more cool imagery of Ye Olde Computers. More after the fold.